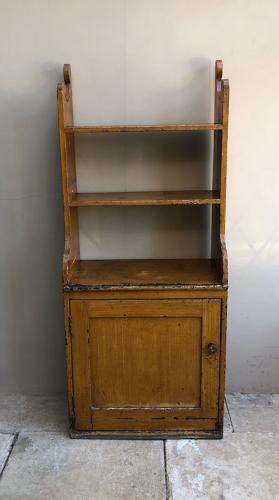 Unusually small Victorian Pine Dresser. Handy piece comprising of shelves over a shelved cupboard all in its original paint. In one piece...natural wear to the original paint in places (as expected) in great condition with no worm.